We are now offering a special combination of chicks from our Rarest of Rare Assortment and Top Hat Special which will be FEMALE BABY CHICKS! Nothing like this is available anywhere else in the world! Imagine buying such things as Cochins, Campines, Red Caps, the exotic Polish varieties, and many many more in pullets only. Best of all: you can buy this ORNAMENTAL LAYER COLLECTION and save money! We are putting a special price on these female baby chicks much lower than what you'd have to pay to get them individually. We guarantee you at least 8 different kinds in each order of 25. 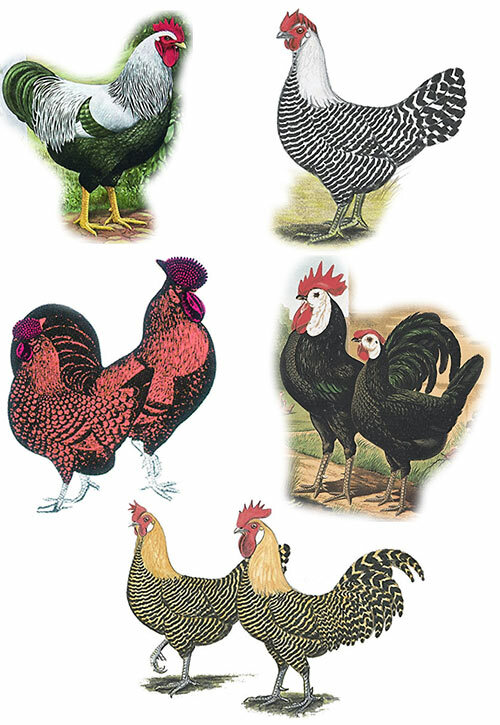 (Our choice) If you are short of space, or don't like to hear roosters crowing but still want the most unusual of the world's exotic poultry breeds, try our ORNAMENTAL LAYER COLLECTION.The supply of these is limited so please order them as early as possible. Assortments may contain additional chicks not listed. how many different breeds are guaranteed in the ornamental layer assortment in an order of 15? We guarantee 4 varieties in the assortment of 15 Ornamental Layers. Are there bantam breeds included in this package? 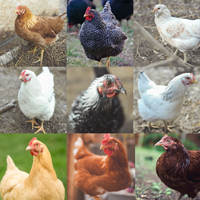 No bantams will be included in the Ornamental Layer Collection. Does ornamental lay blue eggs? 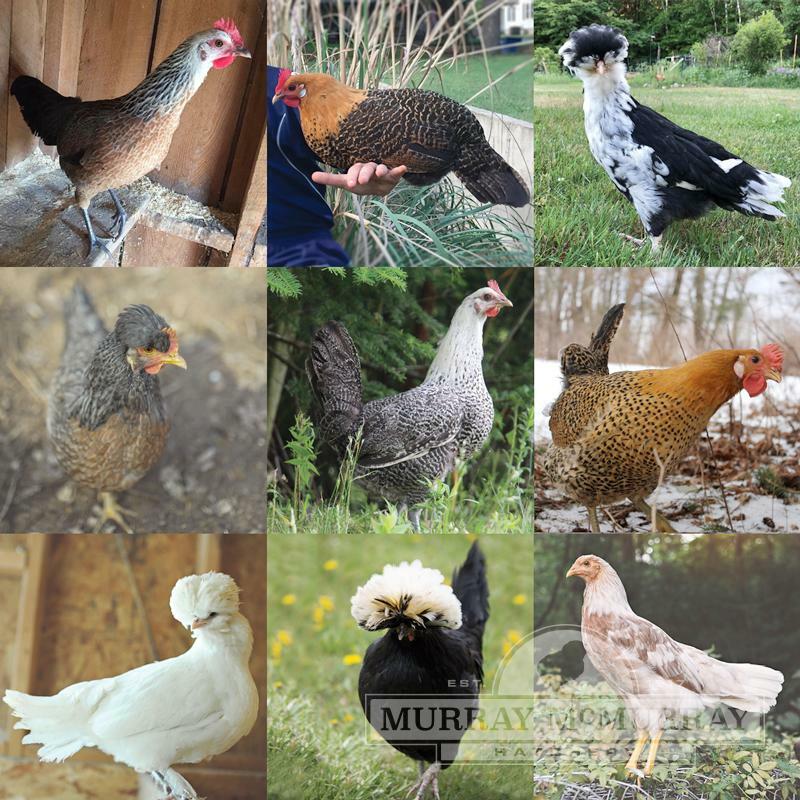 The ornamental package is an assortment of different breeds out of the rare/unusual varieties. We hatch 1 breed that can lay blue or green eggs (Ameraucanas). It is a possibility you can get some of these chicks in this group, but not guaranteed. The assortment packages are sold in groups of either 15 or 25. 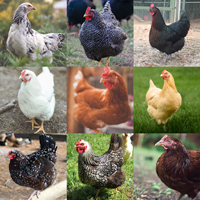 What breeds are the ornamental chicks chosen from? They would be chosen from the Rarest of Rare Assortment and Top Hat Assortment breeds. When will you have this available again? Wonderful assortment, great variety of colors and sizes of eggs makes each day an Easyer egg hunt! Ornamental LayersI was really excited when I got my babies in March, now not happy at all. All of the 15 chickens are game birds, and four are roosters. So much for sexing. The one rooster that I ordered, the Golden Phoenix died, not sure why. I will not be purchasing any more birds.